1. Climate change’s grave consequences are approaching faster than previously predicted. Climate change is not just our future; it is the present and, already, the past. Ice at the North Pole is melting so quickly, it is predicted that ships will be able to sail right across the Arctic Circle by 2040. Coral reefs, island nations, Greenland and even Miami have already felt the effects of ice melting, including flooding and severe weather systems. Ice melting will eventually, and ironically, fuel the vicious cycle of increasing temperature, more melting, and destruction. People who have money can withstand and choose to ignore the first hits, but those in poverty and/or those who live in highly industrialized areas are already feeling the consequences of climate change. Citizens of corrupt governments are in even worse situations. There is no time for excuses. The window for action to stop and reverse climate change is shrinking as you read this. 2. Clean fossil fuels do not exist and we need to discontinue our use of them. 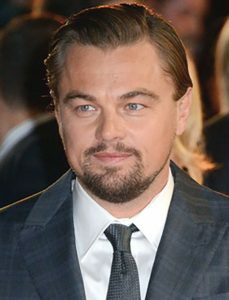 Leonardo DiCaprio’s National Geographic documentary on climate change uncovers the role American politicians and citizens play in this global concern. PHOTO VIA WIKIMEDIA COMMONS. atmosphere and causes temperatures to rise, otherwise known as the greenhouse effect. Once we invest in renewable energy like wind and solar, we have limitless, clean energy. Countries like Denmark, Germany and Sweden are leaders in clean energy and show us that it can be done. 3. The vote and voice of the American citizen is incredibly important. Despite all the scientific evidence, there are many people who proclaim that climate change is fake. There are 144 climate change deniers in the House of Representatives and 38 in the Senate. Politicians such as Senator Mitch McConnell and Congressman Paul Ryan are paid by fossil fuel company lobbyists to discredit scientists and ignorantly state that they do not believe that climate change is real and/or caused by human activity. This is a blatant misuse of power that prioritizes selfish gain over the what is right and real and important. 4. We must make changes to national and global legislation. Climate change activism is not just a romantic movement so the next generation can see snow. The Pentagon has called climate change a national security issue. One of the ways that we can change our national agenda is to push for legislation that favors sustainable, renewable energy over fossil fuels. One example is a carbon tax, which is a tax on activities that create carbon emissions. This nudges companies and individuals away from fossil fuels and toward greener policies and lifestyles, and would allow for tax cuts elsewhere. You can estimate your carbon emissions and learn more about the proposed carbon tax at carbotax.org. 5. We must take individual action and alter the American lifestyle. The average American usage of electricity is equal to that of 1.5 French citizens, or of 2.2 Japanese citizens, and so on and so forth, until this staggering statistic: the average American uses as much electricity as 61 people living in Nigeria. This American culture that emphasizes bigger and more must stop. However, electricity use is not the only aspect of the American lifestyle that needs to shift. The use of cheap palm oil to make products such as cosmetics and processed foods is insidiously detrimental. When rainforests are razed and burned to make palm oil plantations, it creates a “carbon bomb.” Avoid products that use palm oil and turn our industries away from destruction in the name of fast profit. Another major reason for deforestation is for beef production. 47 percent of land in America is used for food production and 70 percent of that is just to raise feed for cattle. Cattle produce methane, a greenhouse gas 23 times more powerful than carbon dioxide. Though animal-free diets are best, substituting chicken for beef is vastly better for the environment and, with efforts from many, can make a real difference.